We’ve listed Frequently Asked Questions below. If your question isn’t addressed here, please call us at (860) 434-9002. Where can I buy a Callaway Corvette, Callaway Camaro or Callaway SportTruck? Call us at (860) 434-9002 and we can direct you to your closest Callaway Authorized Chevrolet Dealer. If there is no Callaway Authorized Dealer in your vicinity, we can work with your local Chevrolet dealer to arrange delivery of the base car or truck to Callaway’s California or Connecticut facility for conversion. Then you can take delivery of your new Callaway at the dealership or at the Callaway factory. You can also take delivery of your Callaway Corvette at the National Corvette Museum via the RPO R8C National Corvette Museum Delivery Option. Can I buy a Callaway car or truck directly from Callaway? No. Callaway does not sell complete cars or trucks, with the exception of periodically selling product development vehicles after their test programs have concluded. I am planning to buy a new Corvette (or Camaro, or Chevy truck, or GMC). How do I make it a Callaway? Very easily. Call Callaway Cars at (860) 434-9002 and speak to a Callaway Specialist about the details of your order. Our staff will contact your dealer to arrange transportation to and from the Callaway factory. When you order your new Callaway, the dealer will specify the Callaway drop ship code. Then your new car or truck will be built at Chevrolet’s assembly plant and shipped on a GM transporter to Callaway Cars’ Connecticut or California plant. You will make all of your purchase arrangements (including financing) with the Chevrolet dealer. Upon completion, you may take delivery at your dealer or at a Callaway Factory in Connecticut or California. If you’ve purchased a Callaway Corvette, you may also elect to pick up your car at the National Corvette Museum. I already own a Corvette (or Camaro, or Chevy truck, or GMC). How do I make it a Callaway? Call us at (860) 434-9002. A Callaway Specialist will direct you to your local Authorized Callaway Dealer and your purchase would be handled by the dealership, just as though you were purchasing new. If there are no Authorized Callaway Dealers nearby, the Callaway Specialist can arrange for you to purchase the package directly from Callaway. There are certain criteria that used vehicles must meet to be considered for Callaway conversion. First, the vehicle must be of the current or previous model year and completely stock, just like it rolled off the assembly line. Second, the vehicle must be completely free from any damage or defects. Third, while there is no specific odometer reading limitation, the vehicle must be as-new mechanically. That means, at Callaway’s discretion, testing may be required to determine the condition of your engine before proceeding with any other work. Should I shop around to get the best deal on a new Callaway? As part of the Authorized Callaway Retailer Agreement, our dealers have agreed to charge the Manufacturer’s Suggested Retail Price (MSRP) for all Callaway packages and optional equipment. No individual dealer will give you a better price than any other for the Callaway equipment. The prices are still the same if you purchase directly from Callaway. How does Callaway develop its horsepower rating? Engine dyno or rear wheel? In order to establish advertised power ratings, peak horsepower and torque are recorded during final testing of Callaway’s production prototype packages in the SuperFlow engine dynamometer cell at Callaway’s Old Lyme Connecticut facility. This testing is performed using the same processes and data correction procedures as used by GM, per SAE specification. Consequently, the values can be compared directly to GM advertised power ratings for stock vehicles. Can I delete the Callaway badges? Yes, you can “Option Delete” trim and certain accessories. However, there is no price reduction. Our production and pricing is planned around a certain volume. Callaway cars and trucks are engineered with components that work together; we do not modify the specification for individual vehicles. And badges and identifiers are not supplied separately. This helps defeat counterfeiting and preserves the value of the marque. What happens to the stock parts you remove from my car? Can I get them? Callaway Authorized Dealers prefer not to handle the “take-off parts”. Consequently, Callaway’s prices have been established with the assumption that the take-off parts won’t be returned to the dealer or retail purchaser. Callaway sells these parts to used Corvette parts dealers. If you want some or all of the take-off parts from your car, let your dealer know and prices will be provided. I’m interested in purchasing a new Callaway Corvette C7 GT3-R race car. What should I do first? Click HERE for our website’s Racing Section. How should I clean my Callaway’s polished supercharger housing? Polished MP112 and MP122 supercharger housings can be polished using a quality metal finishing paste such as Simichrome. Simichrome or any other abrasive-based finishing paste should not be used on the ChromeCoat surface of TVS1900 and TVS2300 housings. These housings have a special surface coating which will scratch. Ordinary care includes washing with mild detergent and a soft cloth. A top coat wax may be applied to enhance the shine of a TVS housing. However, the wax should be tried on a small section of the housing to determine its effect before applying to the whole unit. 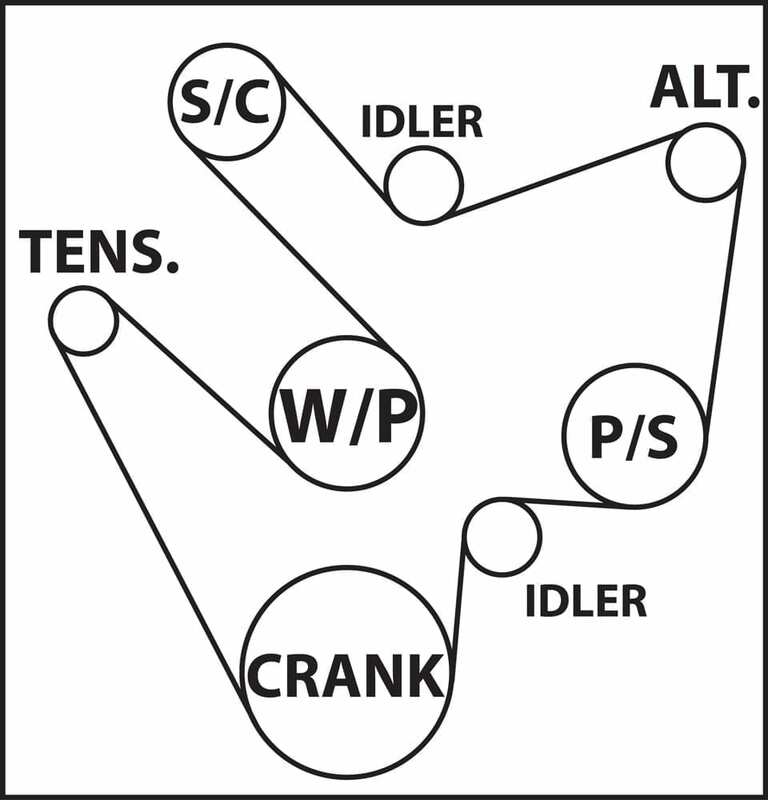 Owners of automatic transmission equipped Callaway Corvettes should implement this technique as a standard part of their driving routine. Put the car into paddle shift mode. To do this, simply select “S” on the gearshift and initiate one paddle shift event at the beginning of every drive cycle. This forces the gearbox to remain in the selected gear even when full throttle is used. As the primary driver, you probably already know that a sudden full-throttle application, while in the full automatic mode, will incur a downshift, and sometimes a ‘double downshift’. This results in too much power and an unpleasant drive. Putting the car into paddle shift mode prevents the downshift altogether. 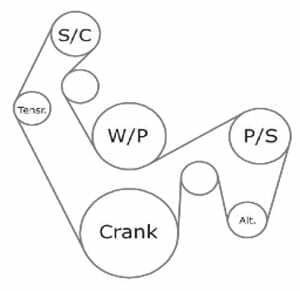 It’s better to have the car stay in the selected gear, and use the boost from the supercharger to feed in the power with your throttle foot, as you wish; not as the gearbox wishes. All potential drivers of the car should also be informed: especially the driver new to the car. I just bought a used Callaway product and I didn’t get an Instruction Sheet? How do I get a copy? Click on this Link to go to the Product Instructions page. You can print a hard copy from here, or call Callaway Technical Support at (860) 434-9002 for further assistance. A question that often arises: How to best launch a manual gearbox Callaway Corvette or Camaro? Answer: Judiciously! Start at about 1500 RPM. That’s right, 1500! We’ve found that this is approximately the right rpm for a successful launch. Just try not to overpower the tires. Shift to 2nd a few tenths before you see the 6400 RPM point. For Corvette, shoot for a 1.6 second sixty-foot time. Alternately, use Launch Control. The Launch Control function included in Camaro and Corvette traction management actually works fairly well for both stock and Callaway applications. It’s especially helpful for drivers without much experience with high horsepower vehicles. We have tested with Launch Control as part of our product development process to ensure that it functions as originally designed. There are conditions that the Launch Control system cannot monitor, however, including tire temperature and condition, and road surface temperature and condition. When tires are cold, when the road surface is cold, or when the road surface or tires aren’t clean and dry, excessive wheel spin is more likely. 1) Double click the Traction Control button, you’ll see “Competitive Mode” displayed in the Driver’s Information Center (DIC). 2) Depress clutch pedal to floor. 3) Move shifter to first gear. 4) Depress accelerator pedal all the way to the floor, smoothly. Engine speed will hunt briefly and then stabilize at approximately 4200 RPM for Corvette, 3500 RPM for Camaro. 5) Keep accelerator pedal to floor and release the clutch rapidly but smoothly. What can you tell me about my Callaway Range Rover Specifications? What oil should I use? When should I change it? Callaway endorses the change interval specified by GM’s in-dash instrumentation. Which spark plugs are recommended? What is the spark gap specification? How do I find replacement supercharger drive belts? All belts are Gates Micro-V series available from Callaway Cars and from most auto parts stores. Are my Camaro’s rear shocks leaking? Symptom: Apparent oil on rear shock body, spring perch, control arm. At first, this looks like a leaking rear shock. However, in the examples we have seen here, the oil is an installation lubricant for the isolation sleeve that surrounds the spring. Clean the area and continue to observe. The fused circuit that supplies power to the Magnavolt fuel pump controller is prone to a failure of the early style fuse holder. The symptom is intermittent operation of the fuel pump. These original-style fuse holders should be replaced by the updated version with the WeatherPak-style connector. Contact Callaway Technical Service for replacement parts. The alternator pulley nut is secured with Loctite 290 wicking-type threadlocker. It is worthwhile to check its tightness periodically. For maintenance and repair, use a new locknut each time the alternator pulley is re-installed. Loctite per standard procedure. Can I retune my ECM for more power? DO NOT RECALIBRATE YOUR ECM! The program that controls the engine management system in your Callaway is special and unique to your vehicle configuration. It was installed into your Electronic Control Module (ECM) by recalibrating the ROM (read-only-memory) at Callaway. The Callaway version of the software, or calibration as it is known, is the only one your car or truck can use. The problem comes when the ECM is inadvertently recalibrated at the Chevrolet dealership during normal maintenance. The GM service department recalibrates ECM’s on all GM cars as a standard part of update maintenance. Your responsibility as a Callaway owner is to not let this happen. Even though Callaway Authorized Dealerships know this, it is highly recommended that you remind the technician or service advisor when you drop off your vehicle. If the ECM is recalibrated using the standard GM calibration, the car will not run well, and if driven in this condition, serious engine damage may occur. 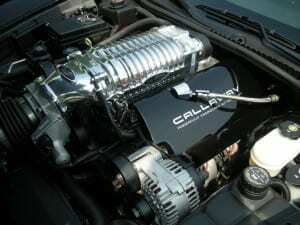 Chevrolet dealers cannot install the Callaway calibration. The ECM must be returned to Callaway to be recalibrated. In order to make this clear, there is a warning on the cover of the port that accesses the ECM. It clearly states: DO NOT RECALIBRATE! Between this warning and your knowledge of this situation, we hope that you will guard against this misstep. Should this error occur, the ECM can be overnighted to Callaway Cars, and we will recalibrate the ECM at no charge other than shipping. Please call Callaway Technical Service in advance for confirmation (860 434 9002). How do folks like their Callaway Corvettes? It’s time to replace the tires on my Callaway SportTruck, but the original BFG g-Force T/A KDW have been discontinued and Michelin Latitude Tour HP XL tires are no longer available in 22″ diameter sizes. What should I do? We recommend the Continental 295/40ZR22 ContiSportContact maximum performance summer tire for SportTrucks. Tires available in 305/40ZR22 include Pirelli Scorpion Zero Asimmetrico all-season and General Grabber UHP summer tires. However, we do not have any experience with the Pirellis or the Generals for the SportTruck application. I’d like to replace the tires on my Callaway Corvette, but the original Michelins have been discontinued. What tires do you recommend? We don’t recommend a non-zero pressure (ZP) tire. How does the Callaway Warranty work? The Callaway Warranty is provided as standard equipment and covers all of the Callaway-installed components and most GM original equipment powertrain components. The term of the Callaway Warranty is 3 years or 36,000 miles, whichever comes first. An optional 5 year/60,000 mile Callaway Powertrain Service Contract is also available (or 5 year/100,000 mile coverage, for 2015 and earlier cars and trucks). Which powertrain parts are covered and which are not under the Callaway Limited Warranty and the Callaway Powertrain Service Contract? 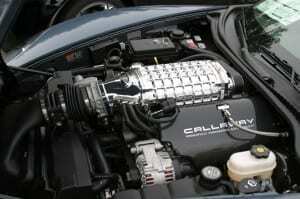 Most powertrain parts are covered by either GM or Callaway. Powertrain parts that are not covered by Callaway are listed in the Limited Warranty and Extended Service Contract documents. Is my GM warranty voided when I buy a Callaway? No, your GM warranty is not voided. All non-powertrain-related parts of your Callaway are still covered by GM. If your problem is powertrain-related, Callaway works with the GM Dealer to determine the root cause. If the problem was caused by a defective GM component, and the affected components are covered by the GM powertrain warranty, then GM reimburses the dealership. If the problem was caused by a Callaway product defect and the affected components are covered by the Callaway Extended Powertrain Service Contract, then Callaway reimburses the dealership. Do I have to bring my Callaway back to the Callaway factories for warranty or service? Do I have to bring my Callaway to an Authorized Callaway Dealer for service or warranty repairs? No. Authorized Callaway Dealers employ specially trained staff; however, we realize that returning to an Authorized Callaway Dealer may not be possible or practical. Consequently, you may bring your Callaway to any Chevrolet dealer for maintenance or service. Most maintenance and service is performed as per Chevrolet’s prescribed original equipment procedures. However, upon bringing your Callaway to a “non-authorized” dealer, please instruct the Service Writer to contact Callaway Technical Service at (860) 434-9002 before any diagnostics, service or repair is performed. Then Callaway will be able to supply specific replacement parts, technical assistance and warranty reimbursement, as appropriate. Do I get a free loaner or a rental car allowance if I have to leave my Callaway at the dealership? No. Neither a free loaner vehicle nor rental car allowance is provided by the Callaway 3 Year/36,000 Mile Limited Warranty or by the Callaway optional Powertrain Service Contract. What is Callaway’s warranty policy on individual performance products, like Honker Intake Systems, Double-D Exhaust Systems, ShortThrow Shifters, for example? Callaway Cars, Incorporated, (Callaway) warrants to the original retail purchaser that its products will be free from defects in material and workmanship when put into normal use. This warranty is not transferable. Callaway’s obligations under this warranty shall be limited to repair or replacement, at its option, of any parts deemed to be defective under normal use within the terms of this warranty. Callaway’s warranty period is ninety (90) days, beginning on the purchase date indicated on the consumers sales receipt. Can I do my own oil changes and other maintenance? Yes. You are not restricted from performing your own maintenance. However, all Callaway Limited Warranty and Extended Powertrain Service Contract repairs must be performed by GM dealerships. If you perform your own maintenance and a warranty-related issue should arise, you may be asked to provide receipts and other maintenance records. The use of GM-approved oils, fluids, and service parts is required. If I install headers, modify the supercharger, or re-tune the ECM, will I void the Callaway Limited Warranty or Extended Powertrain Service Contract? Yes, if you perform any modifications which defeat or tamper with the operation of vehicle emissions systems or install or modify any components or programming that affect Callaway product specifications, the Callaway Limited Warranty and Extended Powertrain Service Contract become null and void. When does the term of the Callaway Extended Powertrain Service Contract start and end? The start date of the Powertrain Service Contract is your Callaway’s in-service date: the day you took delivery of your new car or truck. The start mileage is the odometer reading indicated when you took delivery. The Callaway Powertrain Service Contract expires on the same day of the sixtieth month after your in-service date, or your in-service mileage plus 60,000 miles, whichever occurs first (100,000 miles on 2015 and earlier cars and trucks). Is the Callaway Extended Powertrain Service Contract transferrable? Yes, the Extended Powertrain Service Contract is transferable to subsequent owners by applying to Callaway for assignment within thirty (30) days of change in ownership. Transfer fee, transfer form and complete procedure are available from Callaway upon request. Callaway will recognize the owner of record in the GM vehicle data system as the owner entitled to Service Contract benefits. If the Service Contract has been transferred, the GM owner of record data must match the assignee data on file at Callaway.